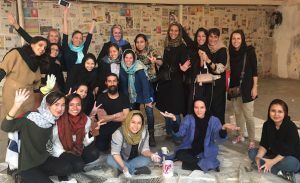 In November last year, Women On A Mission, having just been on an incredible expedition, visited our center in Tehran and were truly impressed and moved by the work we are doing. Women On A Mission (WOAM) is a women driven non-profit based in Singapore that aims to support various established charities working to empower underprivileged women. This support is facilitated through fundraising for those charities by completing very challenging expeditions. In November last year a group 12 women became the first female team to cross the 200km Lut desert on foot and as part of the trip had the chance to visit OMID (pictured below). “Our crossing of the Dasht-e Lut of Iran (otherwise simply known as the Lut desert) in November 2016 was nothing short of surreal. In truth, it was breathtaking, challenging and ultimately, transformative. 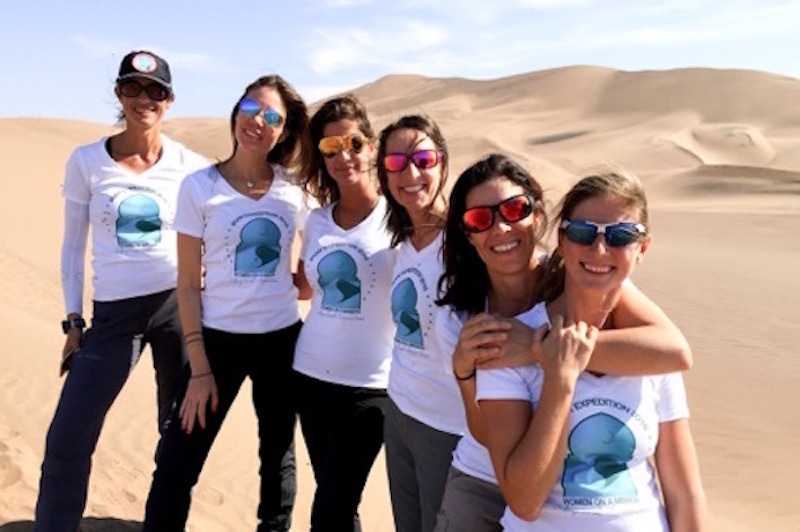 Under the banner of ‘Women On A Mission’ we became the first all-female team in history to cross the Lut desert on foot. The event, called Sands of Time will take place on June 8, 2017. It is a charity event and photography exhibition. 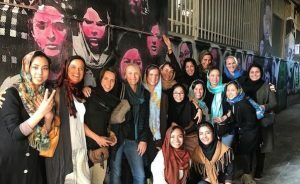 The purpose of the evening being to raise awareness and funds for underprivileged and troubled women and girls in Singapore and Iran, but also to celebrate WOAM’s fifth year anniversary and share the team’s unique life experience of becoming the first all-female team in history to cross Iran’s Dasht-e-Lut desert on foot. It will take place 7-11pm at Ola Beach Club on Sentosa Island, Singapore. You can read more about the Sands of Time event by clicking here. You can also read the full story about last November’s expedition written by WOAM’s Christine if you click here.